Have you ever tried to type a long SMS on your iPhone? How about entering a long URL where even a single mistake would render it unusable? What about typing a half page of notes? The shortest way to complete a task is usually the most comfortable way. 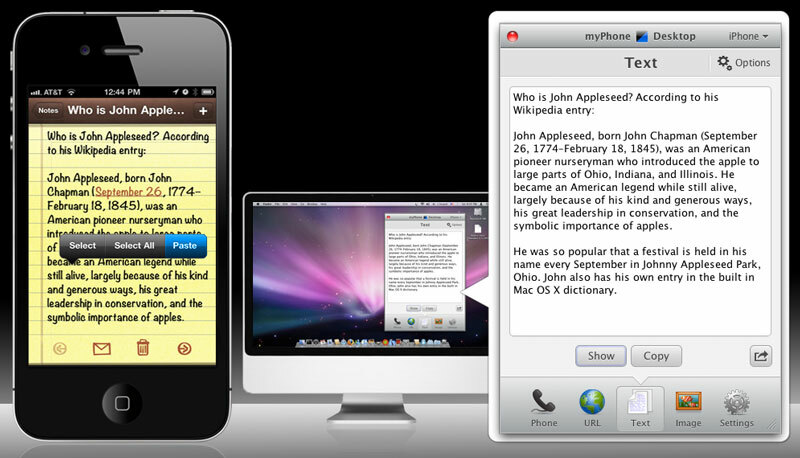 So, continue to work on your desktop with the comfort of a full keyboard, and use myPhoneDesktop to send information to your iPhone, iPad or iPod touch. "myPhoneDesktop links your Computer and iDevice the way Apple should have" (Gizmodo). 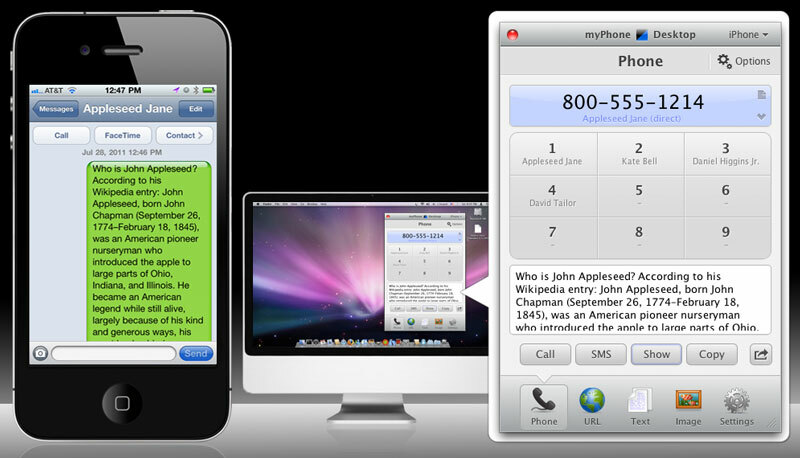 myPhoneDesktop provides an easy and effective way to work with your iPad, iPhone or iPod touch directly from your desktop. Whether you need to make a phone call, send a long SMS, copy a large amount of text, send a long and complicated to retype URL, open route in mobile Google Map, or store an image on your iPad or iPhone, myPhoneDesktop greatly streamlines your workflow. Use Desktop client which tightly integrates with your OS (Windows, Mac OSX or Linux) and provides such handy features like Drag & Drop, global shortcuts like Cmd+C+C and plugin's to popular applications like LaunchBar or Apple Address Book. If you are on-the-go or not at your own computer (Hotel, Internet Cafe or Local Library), you can use convenient and full-featured myPhoneDesktop Web Client that works in numerous browsers. Just click the "Run Web Client" button on this page and start sending information to your iPhone. 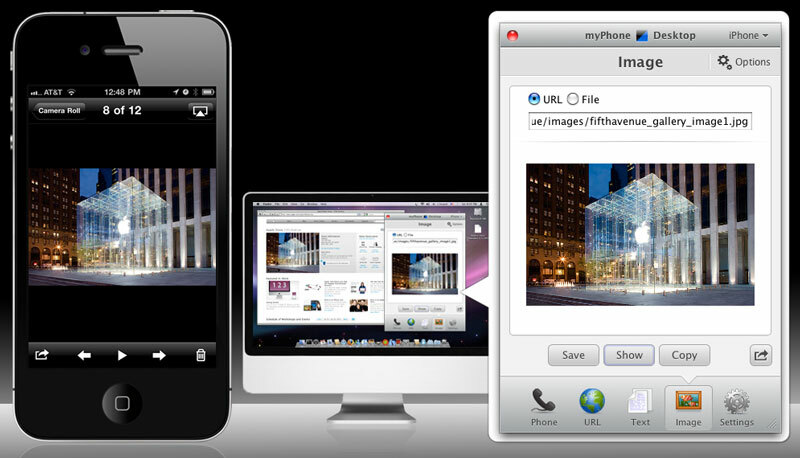 You can also use myPhoneDesktop Bookmarklet and send any content from any Webpage to your iPhone/iPod touch with ease! See something you like while browsing Web? Select it and click the "Send to myPhoneDesktop" Bookmarklet then check your iPhone to receive selected content. Business users would appreciate seamless integration with SalesForce, which provides ability to Call and SMS to Leads, Accounts and Contacts using iPhone. Why would I want to use myPhoneDesktop? 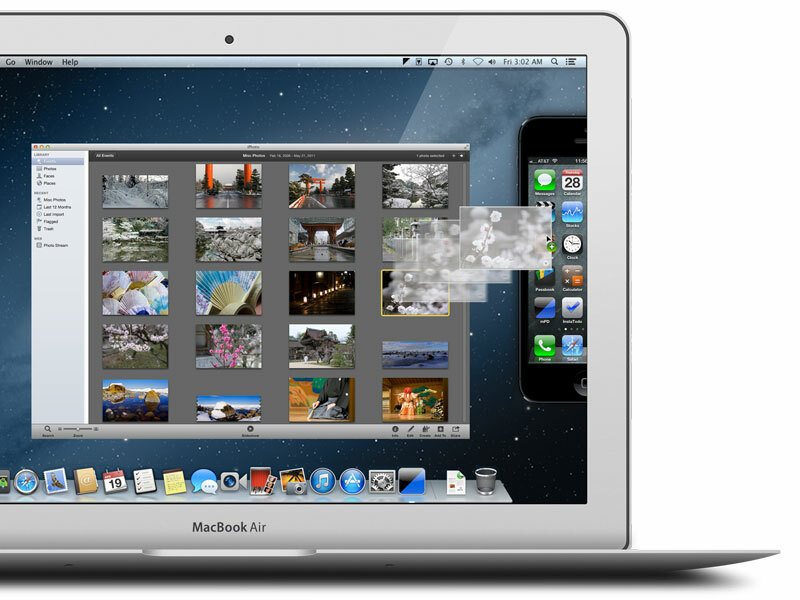 With myPhoneDesktop, you can send content quickly from your desktop to your iPhone. 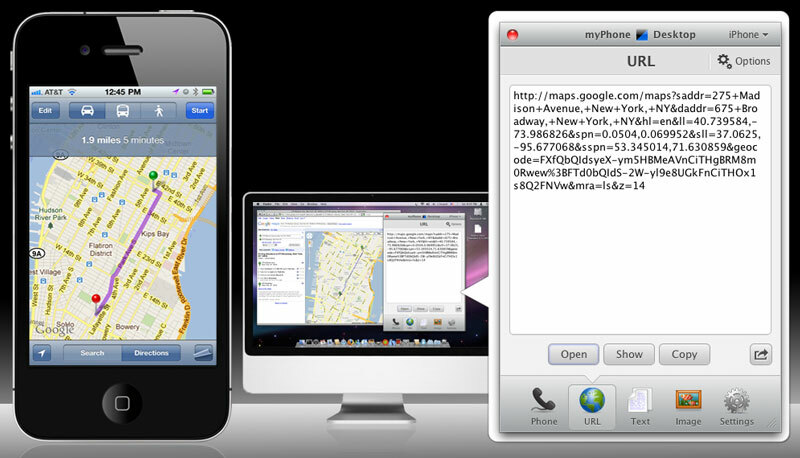 Whether you want to send a long Google Map URL to a friend, or some text to a business colleague, or a photo to iPhone, myPhoneDesktop makes it easy. 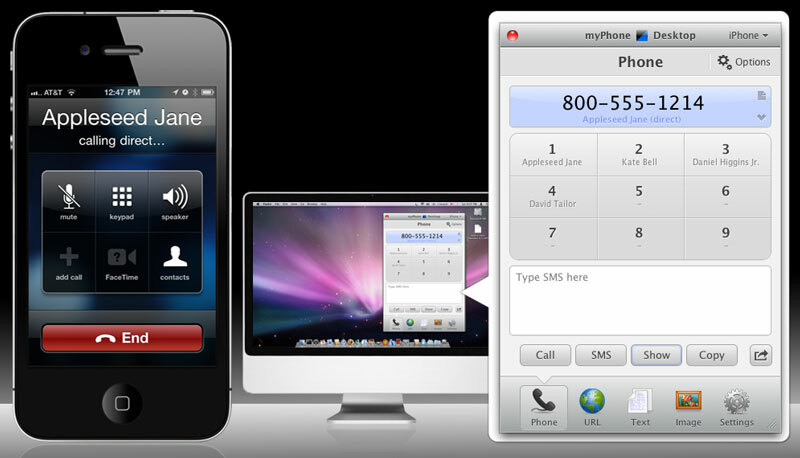 myPhoneDesktop was highly praised by the famous blogs (e.g. TUAW, Lifehacker or MacStories) and really appreciated by the customers. Sounds interesting? Try it now!